Ever been confused by the claim that the Israeli military is ‘the most moral’ in the world? Join us to hear Dr James Eastwood talk about his brilliant new book, ‘Ethics as a Weapon of War: Militarism and Morality in Israel’, which focuses on how the ideology of military ethics acts to entrench Israel’s settler-colonial project. Speaker: James Eastwood is Lecturer in Politics and International Relations at Queen Mary University of London. His research to date has focussed on the relationship between ethics, violence, and militarism with a particular focus on the case of Israel. Alongside his first book published with Cambridge University Press, his work has also appeared in journals including the European Journal of International Relations, Security Dialogue, and Settler Colonial Studies. Chair: Dr Mezna Qato is a Research Fellow in History of the Middle East at King’s College, Cambridge. She was co-editor of a special issue of Settler Colonial Studies on Palestine, and is completing a book on the history of education for Palestinians. Come and hear Sundus Azza talk about her involvement in community activism against illegal Israeli settlement and occupation in the West Bank. Sundus Azza, 25, is an activist from Hebron, Palestine. She lives a few meters away from an illegal Israeli settlement and faces regular harassment from extremist Israeli settlers. Her house has been vandalized and her and her family violently assaulted by settlers as well as soldiers. She has been a volunteer with Youth Against Settlements since 2008, documenting human rights violations as a media and activity organizer. Youth Against Settlements is a Palestinian grassroots initiative to promote nonviolent community resistance against the Israeli occupation. The Open Shuhada Street campaign is an annual call to end the closures, restrictions, human rights violations, and occupation in the city of Hebron and all of Palestine. Talk organised by Cambridge University Palestine Society at Keynes Hall King’s College, Sunday February 10th 17.30 – 19.00 pm. Benjamin Ladraa is a Swedish activist, who last year walked 5000 km from Sweden to Palestine to raise awareness about human rights violations under military occupation in Palestine. After 11 months of walking across 13 countries, he was interrogated by Israeli authorities for six hours and denied entry on a false premise. After several months of talks around the US, we are welcoming Benjamin as part of his UK tour. Hear Benjamin speak about his experiences, the situation of human rights under Israeli occupation, and the next step in his #WalkToPalestine campaign. 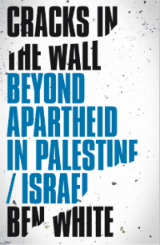 At 6.30pm on 8th November 2018, join Ben White in conversation with Priyamvada Gopal at Cambridge Heffers bookshop, as they talk about Ben’s latest book, Cracks in the Wall, and how a peaceful, just relationship could be achieved for Israel/Palestine. 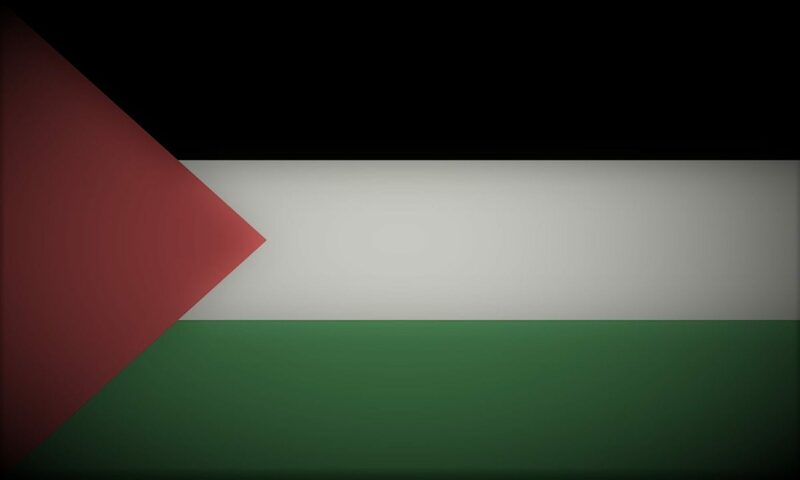 Now is the time to plot a course that avoids the mistakes of the past – a way forward beyond apartheid in Palestine. The solution is not partition and ethnic separation, but equality and self-determination – for all. Ben White is a Cambridge-based journalist and analyst. He has also authored Israeli Apartheid: A Beginner’s Guide, and has published articles in The Guardian, The Independent, Newsweek Middle East, amongst others. He is a frequent guest on Al Jazeera. Dr Priyamvada Gopal is Reader in Anglophone and Related Literature at Churchill College. Her work has appeared in the Times Literary Supplement, The Independent, The New Statesman and The Guardian, amongst others. Tickets for the event are priced at £5 in advance or £7 on the door. They can be purchased through Eventbrite <www.eventbrite.co.uk/e/cracks-in-the-wall-beyond-apartheid-in-palestineisrael-with-ben-white-tickets-49380734105>, by calling 01223 463200 or in person at Heffers bookshop. Please note that tickets are transferable but non-refundable.